By now, you have probably forgotten all about the Prius C, Toyota's "baby Prius" meant to cater to younger customers who wanted something smaller and hipper. The Prius C hasn't been significantly overhauled since its introduction back in 2012 and its relevancy on the market is starting to suffer as a result. 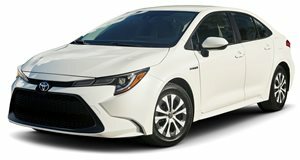 With the introduction of the new Corolla Hybrid, we now wonder why people would still buy the Prius C or even the full-size Prius. Toyota clearly agrees because speaking to Motor1, Ed Laukes, Vice President of Toyota Marketing said, "You’re probably not going to see Prius C for long. The Prius C has served its purpose well." Laukes is likely referring to the Corolla Hybrid as the main culprit for the Prius C's demise. Just as the RAV4 Hybrid erased the need for the Prius V, the Corolla hybrid has done the same for the Prius C. The Corolla Hybrid's fuel economy figures have already been published and are rated at 53/52/52 mpg city/highway/combined. These figures are dangerously close to the Prius, which is rated at 54/50/52 mpg, though the Prius Eco trim can eke out slightly better figures of 58/53/56 mpg. By comparison, the Prius C can only achieve ratings of 48 mpg in the city and 43 mpg on the highway, well below those of the Corolla Hybrid. Couple this with the Prius C's lack of power (just 99 horsepower) compared to the Corolla's 121 horsepower and the result seems obvious - the Prius C loses. We still don't know how much the Corolla Hybrid will cost, so there is one area where it may be at a disadvantage. 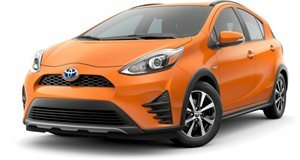 The Prius C is extremely affordable with a starting price of $21,530 but even if the Corolla Hybrid is slightly more expensive it will likely be the superior car.